Samsung’s latest flagship is now available in Canada. The Galaxy S6 and the Galaxy S6 edge, which sports a 2-sided curved display, can be purchased from most Canadian carriers today. Both phones are currently available in two colours: White Pearl and Black Sapphire. They will be available in a third colour, Gold Platinum, on April 30th. The Galaxy S6 packs a 5.1-inch QHD display, 3GB of RAM, Samsung’s own octa-core Exynos 7 processor, up to 128GB of storage, and a 16MP camera on the back. The battery in the S6 is 2550mAh while the S6 Edge packs a slightly larger 2600mAh cell. 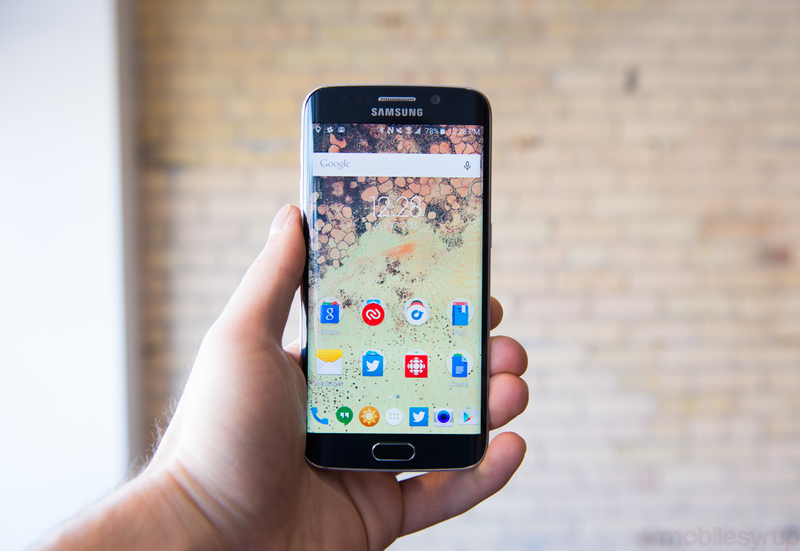 Prices start at $249 for the 32GB Galaxy S6 and go up to $570 for the 128GB S6 edge. As for carrier availability, head on over to either Bell, Rogers, Telus, Wind Mobile, Eastlink, Koodo, SaskTel and Videotron. Update: Another couple Canadian carriers have added the Galaxy S6 and Galaxy S6 edge to its lineup. Both Fido and Virgin Mobile are now stocking both flagships.